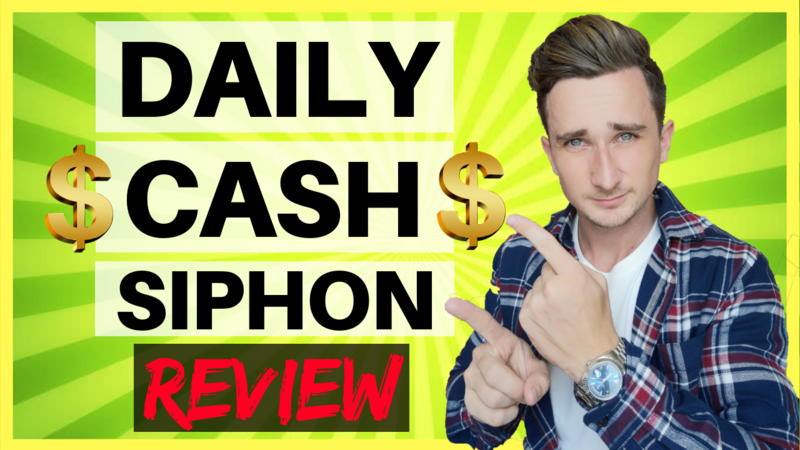 Daily Cash Siphon Review - Legit? Or Just Another Scam? If you're reading this Daily Cash Siphon Review then you've probably stumbled across this website recently and probably have some questions about it. In this review, I'm going to be taking a closer look and finding out if this is a legit online money making opportunity or just another scam. Keep reading to find out the truth. Daily Cash Siphon is a new system that's making its way around the internet lately claiming that they have a “weird trick that exploits a $480 million glitch and legally ‘siphons' $395 a day”. That's the first thing you see when you land on their website anyway. But, this whole thing looks and seems very suspicious to me. I actually noticed a lot of red flags on the website that got me worried and ultimately lose all trust in their system. Let's talk about these red flags that I mentioned. There's a lot of them, so bare with me. This is the first thing you see when you land on the Daily Cash Siphon website. They tell us that that they have a “weird trick” that will basically make us rich. However, this is simply just a sleazy sales tactic to make it sound special. There is no weird trick to make money online. Especially one that would earn you $395 every single day. Like I said, all they're doing is trying to make it sound special. They're hoping whoever is on their website is naive and doesn't know anything about making money online. Unfortunately, that will be the case for a lot of people. They will read this and think it's legit and fall for it. Trust me guys, money can't just be “siphoned” out of nowhere. There is no magic trick to start earning an income online. You have to actually work for it, just like everyone else. Honestly, if you think you can get rich overnight making money online, then you probably shouldn't even be trying to make money online. Because you'll be sorely disappointed. Put in the time and effort and yes, you can get rich. But don't expect it to happen overnight. Again, basically the same thing I said before. They make it out like you can start earning this $395 within 7 minutes and just 19 clicks. Which is just absolutely impossible. There's not much more to say about this. It's just an absolutely ridiculous claim. Please don't believe it. The Founder – “William Fairbrother”? When I'm researching a new online business opportunity, in my opinion, one of the most important things to know before investing is who the founder of the system is. This is a screenshot from their sales video when the founder “reveals” himself. He says his name is William Fairbrother. However, he never actually shows himself in the video. We never get to see him. Not even a picture. That was a huge red flag for me and instantly made me want to click off of the website. But I thought I'd do some research on that name first to see what came up. 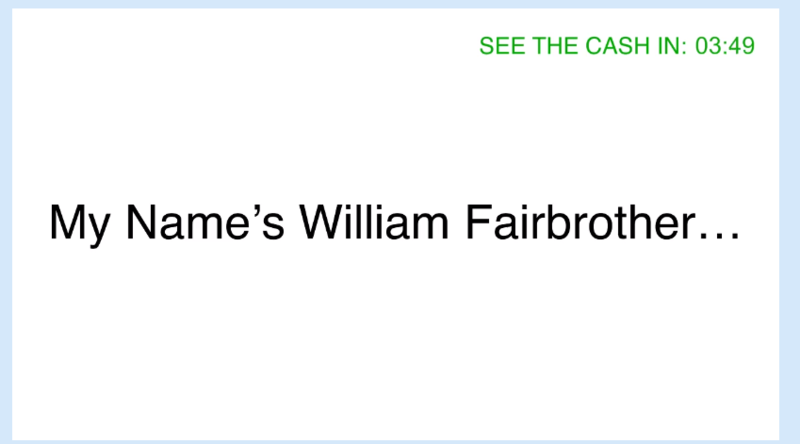 What did I find out about William Fairbrother? That's because he's not a real person. It's just a made up character that the real founder has created in order to hide behind. They do this because they know they're going to have a lot of angry customers who they've mislead coming after them if they reveal their true identity. So they hide behind a made up character. What REALLY Is Daily Cash Siphon? So, if you watch their sales video. The narrator keeps going on and on about this secret trick that he has to siphon money out of this $480 million glitch. But what is this “glitch” he's talking about?? Here's another screenshot from the sales video where he shows us where this money is being “siphoned” from. ClickBank? The biggest affiliate marketing platform on the internet? That is no secret what-so-ever. 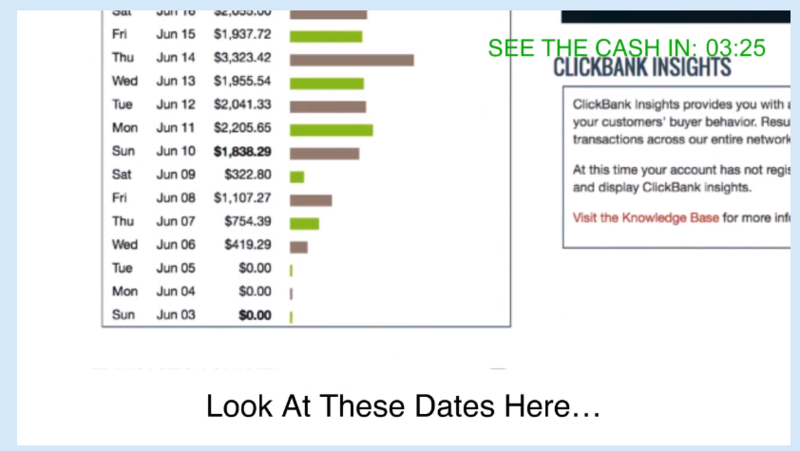 ClickBank is a HUGE platform that does over $1 billion in sales per year. Once again, he's just praying that naive newbies who have never heard of ClickBank will believe everything he's saying. But please don't. ClickBank is an affiliate marketing platform where most people start out. I even have a FREE ClickBank Training Video on my YouTube channel that will show you how to make money using ClickBank. There's no need to pay for Daily Cash Siphon to learn about it. Everything they would tell you, I show you completely for FREE in this video. The Verdict – Do I Recommend Daily Cash Siphon? The website is full of misleading information and lies. There is no “weird trick”. They're just using ClickBank. The founder is hiding. William Fairbrother is 100% a made up character. Don't fall for their lies! Thanks for reading my Daily Cash Siphon Review.